Maybe you need to replace a gold chain that was lost. Or maybe you have a new or re-designed pendant (shown in the video below) that needs a chain to go with it. Whatever the case, if you are shopping for a gold chain, you should know not all chains are created equal. 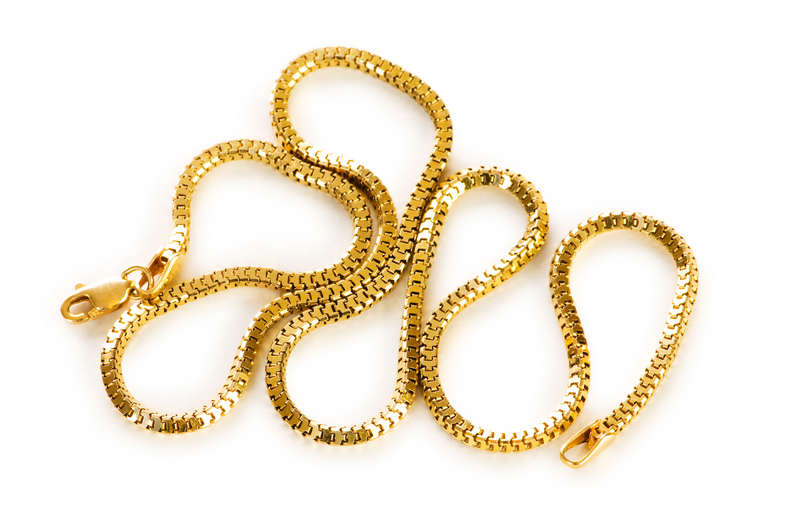 Design, clasps, karat, durability are all things to consider when buying a gold chain. At Neustaedter’s Fine Jewelry, we have some of the most experienced and professional jewelry consultants in the St. Louis area. Whether you are choosing something for yourself, or a gift for someone else, we’ll be happy to help you select the perfect chain to wear with your pendant, or by itself. In our experience, we find that most women prefer an 18 inch or 20 inch chain. A 16 inches chain is best for a necklace that fits close to the neck. For a necklace with a larger pendant, something closer to 22 inches might work best. However, what length you choose is ultimately a personal choice. For men we suggest a chain of at least 20 inches. That length will fit close to the neck. Exceptionally tall men may choose a longer length. However, keep in the mind the longer length will be more susceptible to damage from getting caught. How we gave new life to a ring by turning it into— a pendant! If you have old jewelry that you’d like to see transformed into something totally brand new, we’d love to chat with you because when we call ourselves jewelers, we actually mean it. Neustaedter’s, a St. Louis family jeweler for more than half a century, now at Dougherty Ferry & Big Bend. When choosing the link you want, keep in the mind the kind of wear it will endure and how likely it might be to break. Ask yourself the following questions: How think should the links be? Will I be wearing a pendant? If yes, is it thick enough to support the additional weight? Smoothness is a characteristic that is often overlooked. So make sure to run your fingers across the chain to check for any detectable inconsistencies. This may sound unimportant, but rough spots on a chain can irritate your skin. Additionally, a jagged edge could easily catch on a shirt collar or a scarf. In its purest form, gold is extremely pliable. So jewelry makers add other metals to it, to give it strength. Therefore, the 14-karat or 18-karat refer to the percentage of gold in the alloy. Here’s a simple breakdown. How can you tell the difference? Look for an engraving somewhere on the jewelry, such as the inside of a ring or the clasp of a bracelet or necklace. As is the case with any fine jewelry, the value is rarely based on the materials alone. Strictly speaking, an 18-karat gold chain would demand a higher price than one made of 14-karat gold. However that does not include considerations for sentimental value. A 14-karat gold band is a great choice for a person with an active lifestyle. This because the alloyed metals will make it more resistant to everyday wear and tear. It is the most popular choice for engagement rings and simple wedding bands. Most jewelers consider 18K gold jewelry to be special occasion pieces. At Neustaedter’s Fine Jewelry we carry a wide assortment of gold chains in a variety of values. Stop by our fine jewelry showroom at Big Bend and Dougherty and we’ll be happy to answer all your jewelry questions. 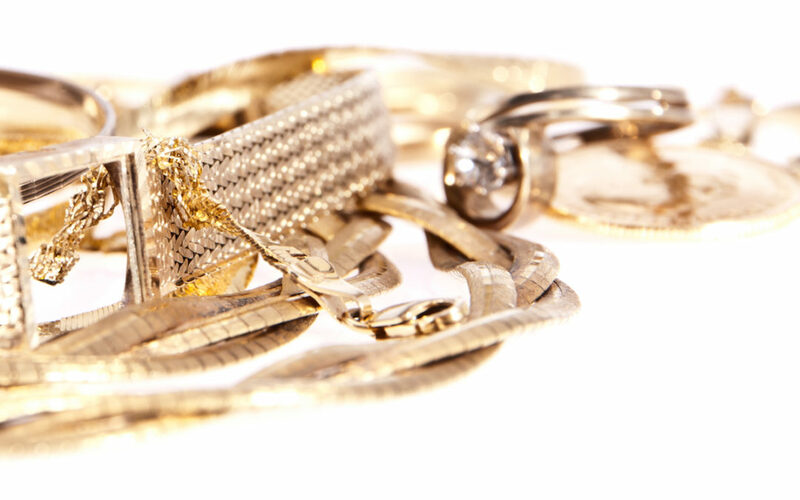 We also offer the best jewelry cleaning in St. Louis, so feel free to stop by with your favorite pieces. Or make an appointment and we’ll clean them while you wait. You can even watch!